Our Garden of Expressions has become so popular we have asked our Monumental Mason Paul Leuverink to return and build us two new Gardens. Paul is responsible for all our granite gardens in the grounds and does absolutely beautiful work. 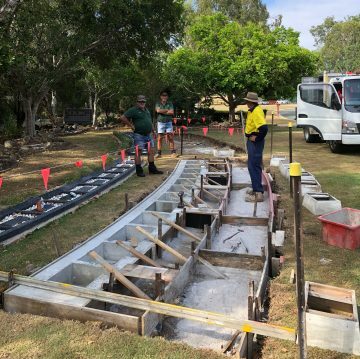 Paul is working closely with our two gardeners to create something really unique that holds a special place in people’s lives. Recently, our monumental mason Paul also completed our second Pearl Estate. 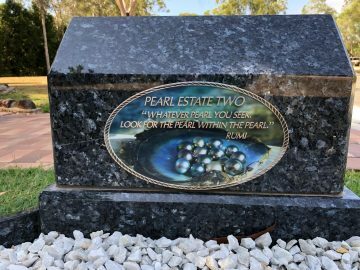 Once again featuring an inspirational quote from “Rumi” our Pearl Estates are very popular with families looking to purchase multiple memorials together as each side can house a number of memorials. 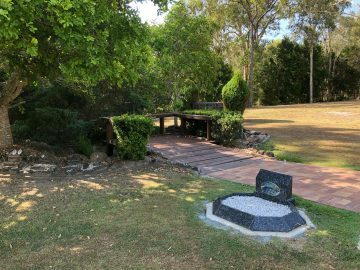 You are most welcome to call out to Great Northern Garden of Remembrance during office hours for an obligation-free tour of the gardens and facilities to ascertain what might be right for you.